Gay serial killer Bruce McArthur staged photos of some of his victims wearing fur coats and with cigars in their mouths, a court heard on Monday. McArthur pleaded guilty to eight murders of men with ties to Toronto’s gay village in Canada last week. During the first day of a sentence hearing on Monday (February 4), the prosecutor told the court how McArthur, 67, took pictures of some of the eight victims after strangling them to death. McArthur staged some of the corpses of his victims in a fur coat and black leather hat. Two of the victims had a cigar propped in their mouth, reports The Guardian. Prosecutor Michael Cantlon also told the court that McArthur shaved the facial hair of some of his victims and kept it. The murders took place between 2010 and 2017. 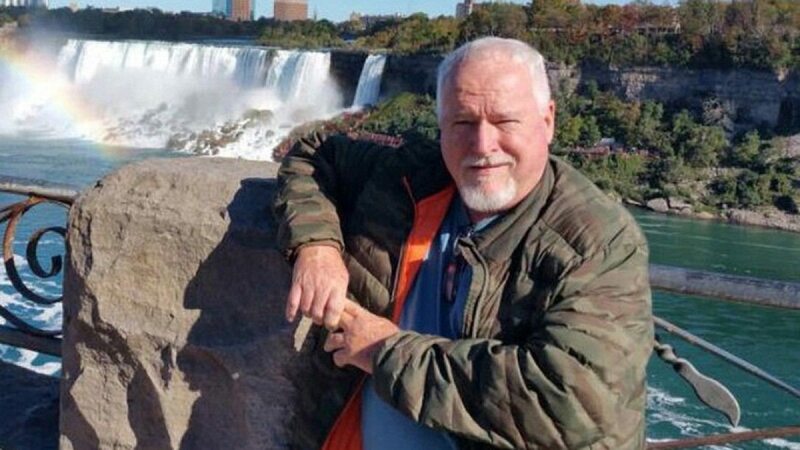 The eight victims of gay serial killer Bruce McArthur. Some of McArthur’s eight victims—Skandaraj (Skanda) Navaratnam, Soroush Mahmudi, Dean Lisowick, Majeed Kayhan, Selim Esen, Andrew Kinsman, Kirushnakumar Kanagaratnam and Abdulbasir Faizi—were of Middle Eastern and South Asian descent. Cantlon told how McArthur targeted men less likely to be forthcoming about their sexuality and whose disappearances might not attract the same level of scrutiny, reports ITV News. “Many of the victims had ties to Toronto’s LGBT village and had a social life within that community. Many met or corresponded with Mr McArthur through dating apps,” said Cantlon. “Some were forced to live parts of their life in secret because of their orientation. Some lacked stable housing. The court also heard that when McArthur was finally arrested in January 2018, police found a ninth man handcuffed to McArthur’s bed, naked and with a black bag over his head. The man, known only as John, had been texting McArthur via a dating app. They met in January 2018 at McArthur’s apartment in Toronto. The man, of Middle Eastern descent, was perhaps saved only because police arrived at McArthur’s door, after connecting the killer to the death of Andrew Kinsman. Kinsman, who was McArthur’s last known victim, had marked “Bruce” in his diary on June 27, 2017—the day he disappeared. Surveillance footage of Kinsman entering a van linked to McArthur helped police narrow down a suspect. “We searched for Andrew for six months. I knew he was gone, but still we looked.” said Kinsman’s sister, Patricia, in a victim impact statement.